Here is a review of my five top new features that are only available in the new CC version of Adobe Illustrator. Remember you can down load a FREE 30 day trial of Adobe Illustrator CC HERE to try it out for size. Understanding and being able to effectively use the Pen tool is key to becoming a master of Adobe Illustrator. Until recently its been very tricky to learn and to get to grips with the Pen tool, but now in Adobe Illustrator CC 2014 Adobe have added a really good new feature – you can preview your path before adding in an anchor point, this makes it a lot easier to get the path running how and where you want it first time! 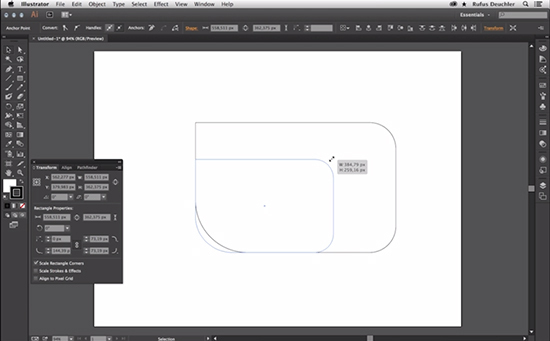 One of the biggest new features in Adobe Illustrator CC 2014 was Live Shapes. They enable you to change the corners on all rectangles or rounded rectangles either by clicking on the corners or using the Transform panel to add more exact measurements. So you can now transform a standard rectangle in to a shape with rounded corners (or any other corner effect) and also have the ability to change it back to a standard rectangle in a few clicks. 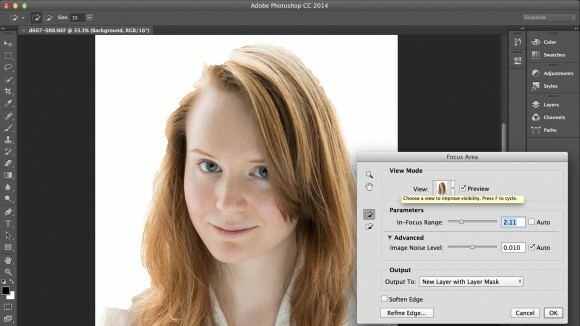 There are a number of new ways of working with anchor points in Adobe Illustrator CC 2014. You can repair broken handles with the Anchor point tool just click on the anchor point with the ‘Alt’ key and it repairs and makes the points smooth. You can also have unequal anchor point handles, in the past when you dragged the handles of a smooth point using the Pen tool they remained attached to each other and equal in length, now if you press the ‘CTRL’ or ‘CMD’ key they still stay attached but they can be different in length. 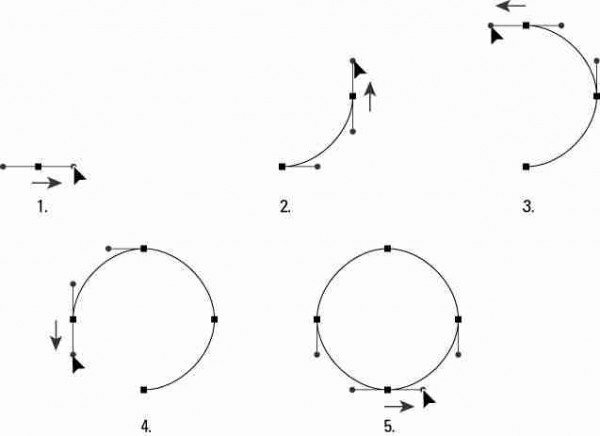 When you close or finish drawing a shape you can reposition the closing point as you are drawing the shape. 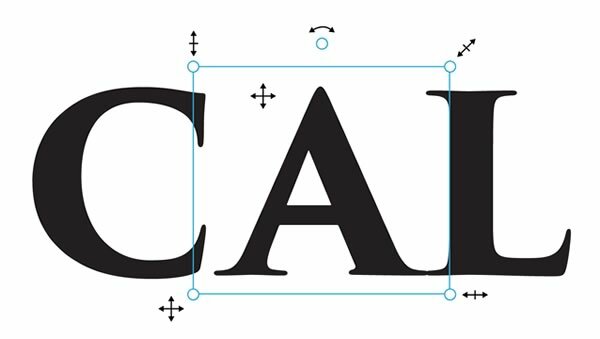 With the help of Touch Type Tool in Adobe Illustrator CC 2014 you can resize, rotate, and move the single letter of text object. Control is performed by means of markers that appear on the bounding box of the selected letter. In addition, the text is fully editable, i.e. it doesn’t lose its live properties. 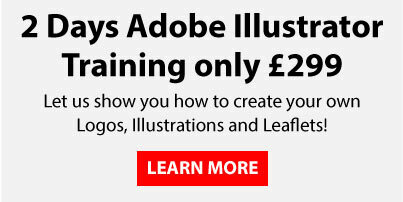 We regularly run Adobe Illustrator Training Courses from our state of the art studio in Derby.